If you’re not interested in discovering your life purpose, building your vitality and getting 3 Hot Tips to start your process now, you may as well hit the back button because being powerful and purpose-filled is what this page is all about. Do you ever go to bed at night feeling that life is passing you by, that there’s no hope to live a life that is true to yourself and your purpose in being here? Are you tired of being exhausted and feeling rudderless? Have you tried counseling, personal development seminars and even best-selling psychology books that haven’t worked? Would you like to break through limiting thoughts that keep you from pursuing your dream purpose? Or perhaps you’ve hit a plateau and your existing personal growth practices are stale and no longer working? If you answered yes to any of these questions, this may be the most important letter you’ll ever read. Like you, I used to feel anguish and despair at night. I felt I would never be able to discover my authentic gifts and offer them to the world. I felt like giving up. I followed a well-beaten path given to me in graduate studies but all it got me was migraine headaches and an ulcer. I thought I wasn’t smart enough or good enough to create my ideal career. I felt sad and hopeless. And today because of a few simple actions that take less than 7 minutes a day to apply, things are 180 degrees better. I am living an amazing life beyond my wildest dreams. I am an award-winning author, a highly successful Life Coach, and I lead transformational webinars that help women create the life of their dreams. You can make a start right now by trying out these 3 Quick Tips for making a move towards igniting your power and purpose for your own Life Transformation. Tip 1. As you take your morning shower, begin your day by imagining that the water streaming down your body is full of golden white light. Fill your whole body with this vibrant, energizing light. Tip 2. Grab a pen and a pad of paper and sit comfortably. Name 5 people and things that you are very grateful for in your life. Studies show that writing it down helps you connect more deeply with each thing. Try to really feel your gratitude for each person, each thing. Tip 3. Think about what you would really love to be, do and have in your life right now. You don’t have to know how you would do this. You only have to know what you would really love to be doing in your life. What is it? I had so much inertia and anxiety in my life before I stumbled onto the process that opened my power up to me and supercharged my purpose. When I was just getting started and struggling with feeling lost about living my purpose, I sure wish I had had this information I am about to share with you! It would have helped me overcome my despair so much faster. But it took me years to piece together. Ignite Your Purpose and Power is a proven step-by-step blueprint that delivers benefits and results fast. In fact, here is a sample of what you can expect when you join today. ◊ Use the Proven 4 Pillars of Power- so you no longer stay stuck behind barriers of thought and belief that limit you. ◊ Use 3 keys to access your True Power- so that you wake up in the morning saying, “I LOVE MY LIFE!” and you are excited to start your day. ◊ Accelerate your confidence- so that you bust through stuck circumstances and shatter worn out paradigms that have been limiting your motivation to transform your life. ◊ Receive life empowering benefits from the community of women who are also in the course with you- so that you don’t feel alone in your search anymore. But you don’t have to take my word for it. Listen to what some of my successful clients have to say about my online course, Ignite Your Purpose and Power. I was wandering through life feeling lost and searching for my purpose. In Beth’s course I was guided to new ways of thinking about my life, and I was empowered to create the life I dream of rather than settling for the life I grew up with. I am blessed with newfound direction, and I now have the power to manifest the life I want! 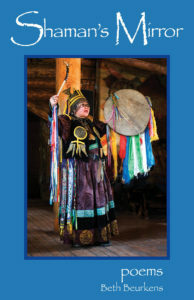 Beth’s knowledge of universal shamanic and mindfulness practices is extensive. She simply oozes enthusiasm, inspiration and motivational support! All of us in our group had ongoing access to Beth via email between our sessions. We were also given a generous free bonus Coaching Session that helped me tie all the practices and teachings together at the end of the course. This course helped me identify my life’s purpose and has also given me clarity and confidence to pursue my goals. My zest for life and happiness has increased! Beth really knows her stuff! Beth is a wonderfully caring mentor who is committed to witnessing the voices of each participant. Beth listened and advised me on very personal and spiritual levels. Thank you! Women from all over the U.S. and Europe came together in an online format. We could see each other! I gained the sense that I am not alone in my quest to find my life’s purpose. I appreciate my life so much more now and I am moving forward with my dreams. You’re not alone anymore – we can do this together! We will meet together for six weeks, online, beginning January 11 – March 6, 2017. Wednesday evenings, 6:00 pm – 7:15 pm, Pacific Time (US). Thankfully Ignite Your Purpose and Power awaits you. Other courses in the marketplace with this amount of content can cost upwards of $597. Bonus #1. A 30 minute FREE Life Coaching session with me- normally valued at $150. Bonus #2. The Ultimate Quick Guide to Access Your Power and Purpose Now!- Not available anywhere else online! Bonus #3. An Audio Recording of any of the course sessions you might have missed- PLUS the opportunity to review our training session and let even deeper insights sink in. Bonus # 4. A Bundle of 8 Reflection Worksheets– This is effectively it’s own separate mini-course akin to a free eBook. A collection of exercises that, put together, can help you create remarkable transformation and change in your life. My former students say that these exercises are often THE Key to making a big difference in your transformation. Your Total Bonus Package value is $300. Benefit #1. Get personal one-on-one advice to get past your specific roadblocks. Benefit #2. Unlock the meaning in your life. Benefit #3. Create an impact on the world by living from your TRUE self. Benefit #4. Be the person you were meant to be. This should be the easiest decision you’ve ever made in your life. *You’ve seen what other women, just like you, have achieved in Ignite Your Purpose and Power. *You’ve seen that by acting now you can save a lot of money and get a bunch of great bonuses. *Remember, I am only accepting 48 students into this exclusive Training, so click the PayPal button below to secure your spot right now. January 6, 2017 is the last day to sign up. Start your New Year empowered and purposeful! P.S. You can of course walk away and keep getting the same non-results you’ve been getting, or you can say yes and give Ignite Your Purpose and Power a try.